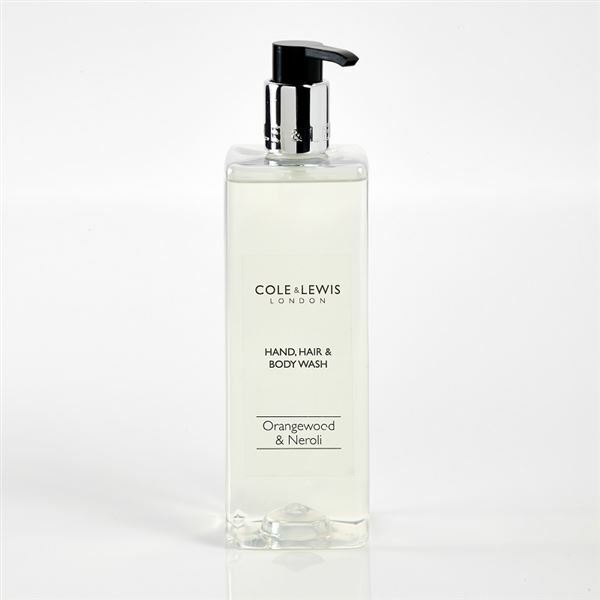 Enriched with cornflower and passiflora organic extracts renowned for their calming properties, this Cole & Lewis Orangewood & Neroli hand, hair and body wash will leave hair and skin soft and lightly scented. Free from parabens, GMOs and silicones, the formula has been dermatologically tested to suit all skin types. Presented in striking rectangular bottles, the 480ml capacity bottle helps to save on plastic, while the recyclable PET construct allows for repeat refills time and time again. Bulk 3 litre refills are also available.